What was supposed to be one of Alfa Romeo’s most important models has turned into a dud for the Italian automaker. The 4C Spider isn’t doing too well these days and if a report by AutoForecast Solutions is to be believed, the 4C Spider may very well end up being a one-and-done model. It’s been established Alfa Romeo never thought the 4C Spider would be a sales hit, but even with that realization, the company had hoped that the model would at least make an impression, especially in the U.S. market. Turns out, the only thing the 4C Spider can boast of is that it has sold 11 more models than the Dodge Viper this year (309 to 298). That’s the same Viper that’s going out of production in 2017. So with little to show for all the time and resourced Alfa Romeo put into developing the 4C Spider, it appears that Fiat Chrysler Automobiles is cutting the cord on a possible successor to the model as a way of cutting its own losses in the process. To be fair, FCA has given no indication of its plans for the 4C Spider – or the coupe version – moving forward. The report may end up being true, or it may not. But neither FCA nor Alfa Romeo can’t hide from the fact that from a sales perspective, the 4C Spider has been a massive disappointment. If FCA ends up sticking with the 4C, it’s going to have a lot of work to do on the model. If it doesn’t, well, it’s back to the drawing board, right? Either way, it’s not a good look for Alfa Romeo, especially at a time when the automaker is hoping to make a new impression in the U.S. market. 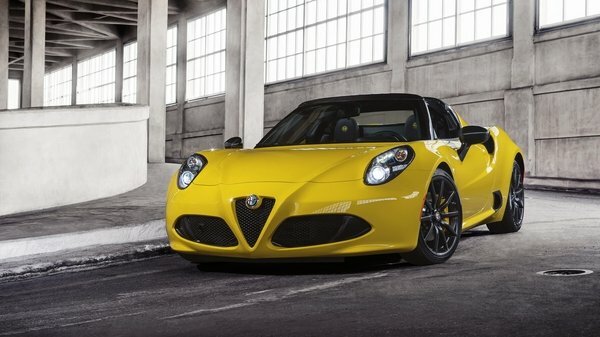 It hasn’t happened yet for Alfa and the lukewarm reception to the 4C isn’t making it any easier for the company.